Hideo Kojima wows audiences once again with the first reveal trailer for his new game Death Stranding. The game is slated to be released for next gen consoles particularly for the Sony Playstation 4. Bigger news is that they brought along The Walking Dead star Norman Reedus along for the ride. The trailer is haunting and eerie and ends on a rather sad note, particularly for Reedus’ character who loses his kid. 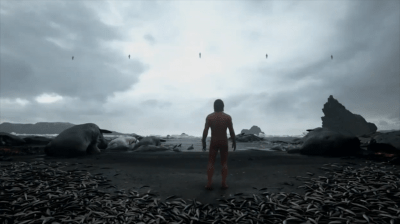 Watch the E3 2016 trailer for Death Stranding below. With that we have 5 questions for the game and things that go along with it. 1. Why so many dead? Dead animals at least. We start with crabs and move up to other marine life. The corpses are by the thousands as well. What could have caused this? 2. How did Reedus end up naked in the beach? Daryl Dixon himself is in another Hideo Kojima game. Hopefully this is a game that actually begins production and not be a game that gets cancelled somewhere down the line. Also how did he end up in the beach? Did some cosmic creature do this to him? 3. What are the moving handprints? Another interesting aspect of the trailer is the whole ghost thing. Moving handprints can either be signs of invisibility or some otherworldly event that makes people disappear at random moments. 4. Who are the floating people? We have this feeling here on thefanboyseo.com that these beings floating at the end of the trailer are the prime suspects for whatever the hell happened to those poor sea creatures. Are they angels? Devils? Aliens? Otherworldly creatures? 5. Where is the game set? Looks can be deceiving, but what if the game is actually set in the future? Look at that shackle alone thats connected to Reedus’ baby. Nothing can be done in this generation alone. 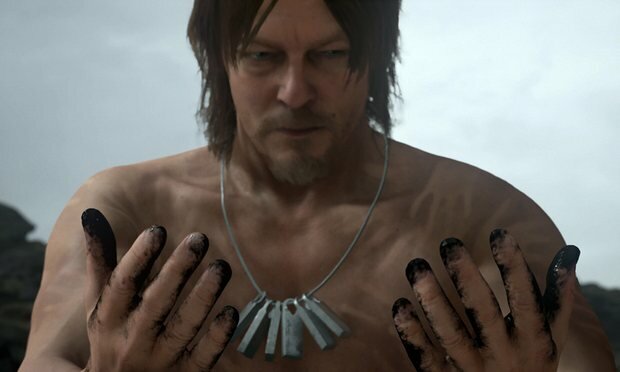 What’s your favorite moment from Death Stranding? Are you excited for this game? Feel sad at the loss of PT?